The differential pressure gauge displays the difference in air pressure between the inside and outside of a shelter. It uses a sampling tube that goes through the wall or ceiling in order to read the outside air pressure. Another sampling tube is inside the housing and the difference in air pressure is displayed by a needle on a dial gauge. 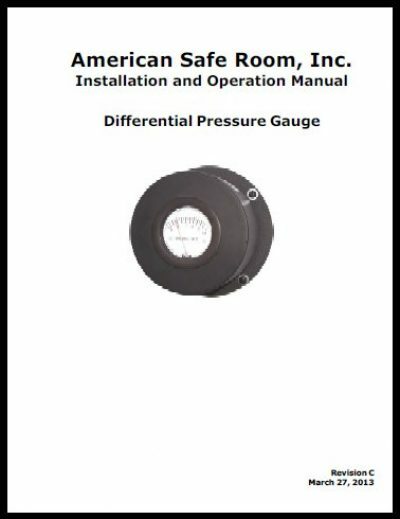 When you do not have the Safe Cell NBC overpressure air filter on, a properly installed differential pressure gauge will read zero because there is no difference in the air pressure inside, and outside of the shelter. When you start the Safe Cell, the gauge will read a higher pressure. The unit of measure displayed is inches of water column (WC). There are 27.67 inches of water in one pound per square inch (PSI). Air flow and air pressure are two properties of forced air that are linked together. As a general rule, the more air pressure, the less air flow. An airflow of 5 cubic feet per minute per person at 0.3-inch (7.62-mm) of water column is recommended by the United States Army Corps of Engineers in the technical letter ETL 1110-3-498. 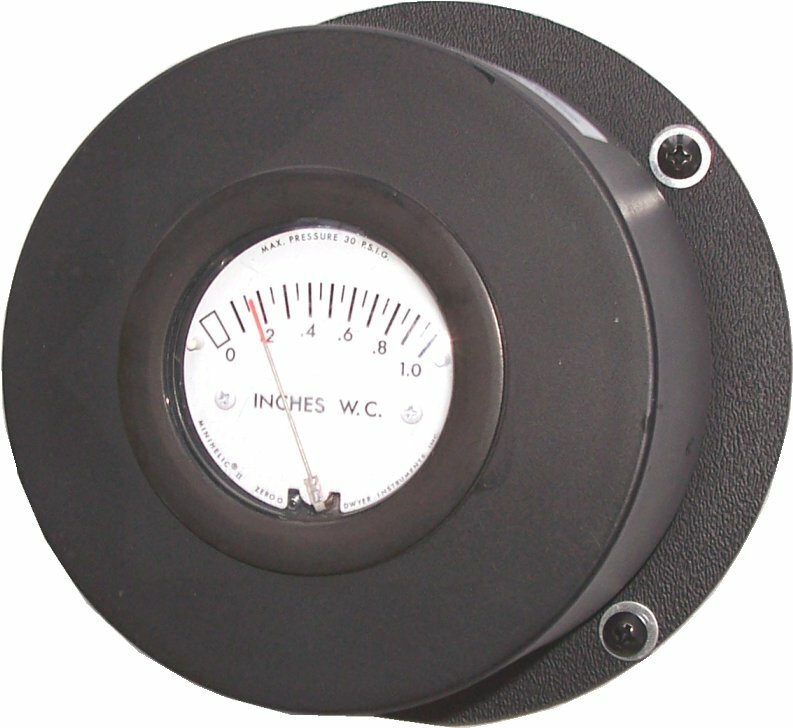 The differential pressure gauge is designed to be wall mounted. It can also be mounted on a blast door. Due to the variety of walls this item can be mounted on, fasteners are not included. One steel sampling tube with rubber washers, steel washers, tightening nuts, couplers, and barbed fittings. The sampling tube comes with two additional sections for thicker walls.